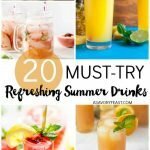 Nothing beats an ice cold fruity drink on a hot summer day! Try this healthier take on a limeade. It’s sweetened with honey instead of sugar! 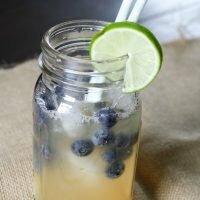 Tart and flavorful, this drink is made with fresh squeezed lime juice and garnished with blueberries! Is your summer going by as quickly as mine is? It’s hard to believe we are more than half-way through July already! There’s been a bit of a trend going on here at A Savory Feast with fruity, refreshing recipes. Today I’ve got a healthy limeade recipe that you are going to love! 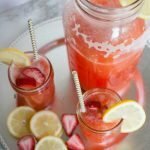 I love an ice-cold limeade or lemonade when it’s hot out, but it’s a rare treat since most are loaded with sugar. Since I keep craving them, I wanted to find a way to make them without all the sugar. This limeade is sweetened with honey instead. Not only does honey add a nice sweet taste to balance out the tart lime juice, it adds a great flavor, too! 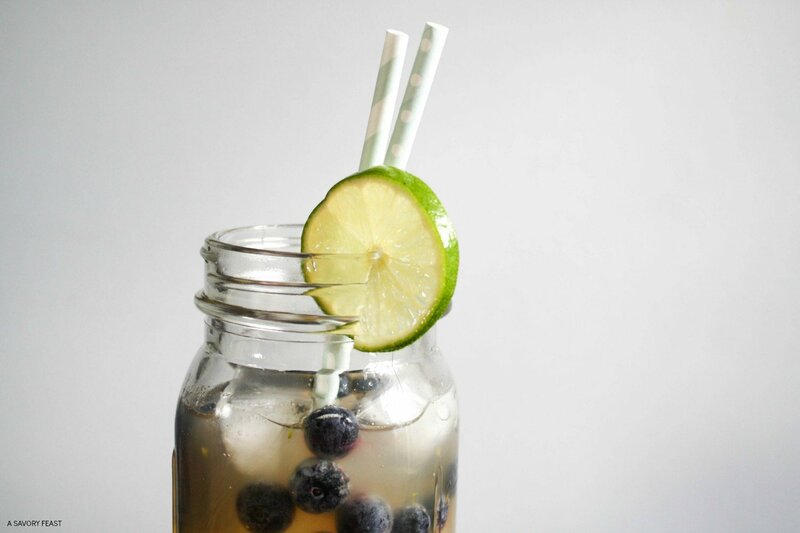 Take a break from the summer heat with this Honey Sweetened Limeade from @aSavoryFeast! 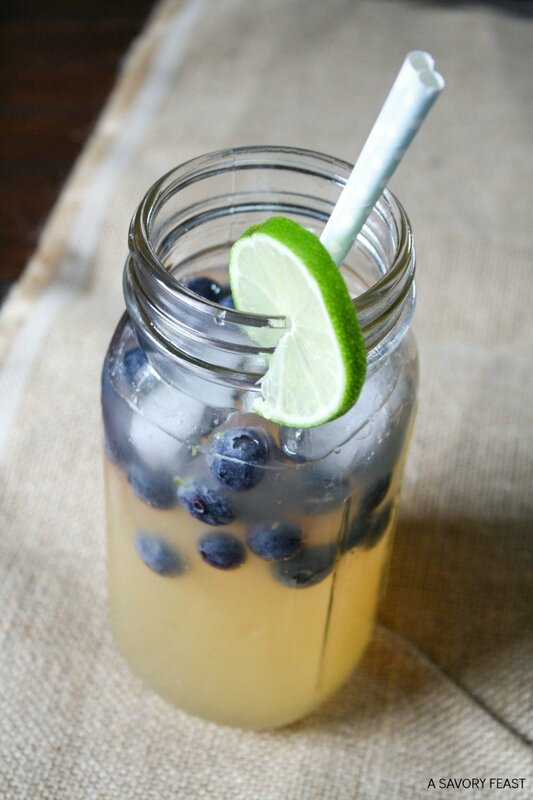 Serve this tasty beverage over ice and add some blueberries. It’s perfect for summer parties! You could serve it out of a pitcher or even a punch bowl. No party plans? Go ahead and make a whole pitcher for yourself! It will stay fresh in the refrigerator for a few days. Nothing beats an ice cold fruity drink on a hot summer day! Try this healthier take on a limeade. It's sweetened with honey instead of sugar! 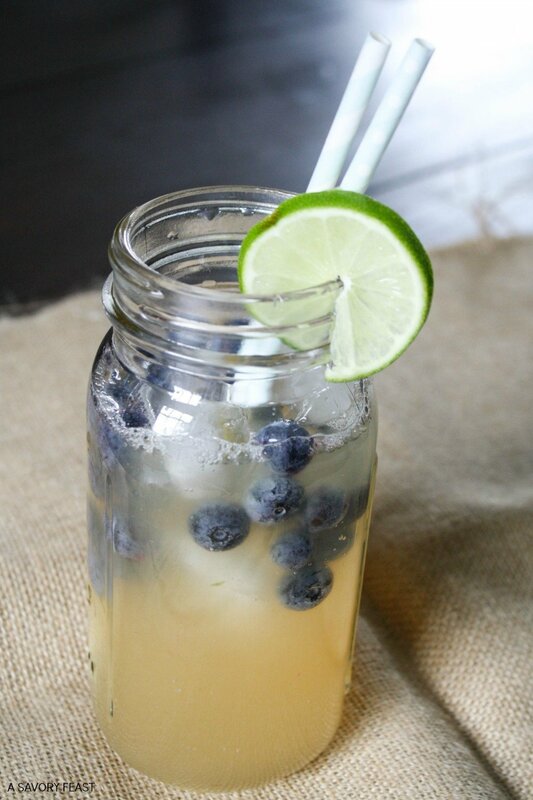 Tart and flavorful, this drink is made with fresh squeezed lime juice and garnished with blueberries! Cook honey and 1 1/2 cup water in a small saucepan until honey is completely dissolved. Set aside and let cool. Zest 3 limes and place the zest in the saucepan with the honey mixture. Juice the limes (you should end up with about 1 cup of juice). Place the cooled honey mixture and lime juice in a pitcher. Add in 5 cups of cold water and stir. Place in the fridge to cool for at least 2 hours. When ready to serve, place ice and blueberries into cups. 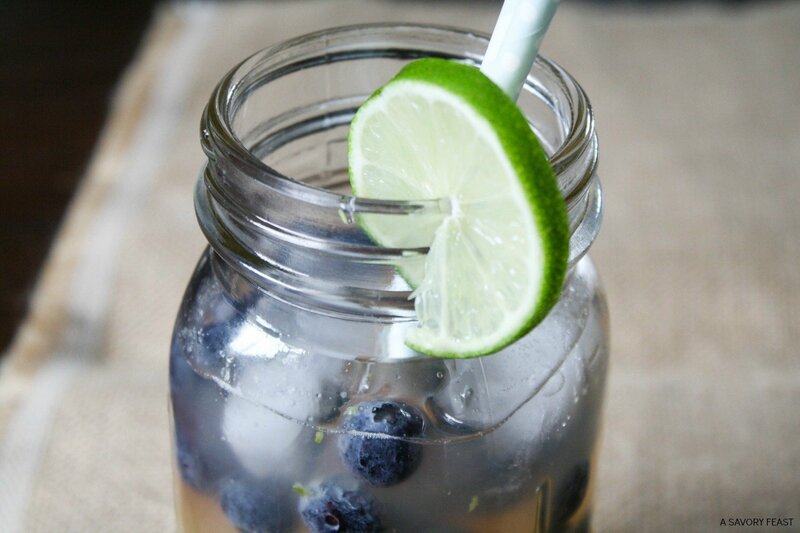 Pour the limeade over the ice and blueberries. Frozen blueberries can help to keep the drink cold, but they may "bleed" a little, causing the drink to be more of a purple color. 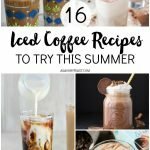 What is your favorite beverage to cool off with in the summer? 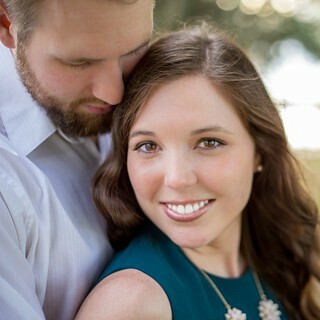 Hi Jenna, I agree on the store bought limeade and lemonade being overly sweet! This is such a good drink you made. So refreshing! Although here in Edmonton, Canada, it’s not that hot, I’d like a glass of your limeade with blueberries right now. 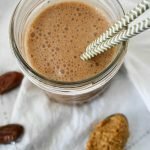 You will love this drink! It’s delicious even if it’s not hot out. You are pretty lucky to be enjoying cooler weather! Yum Jenna. 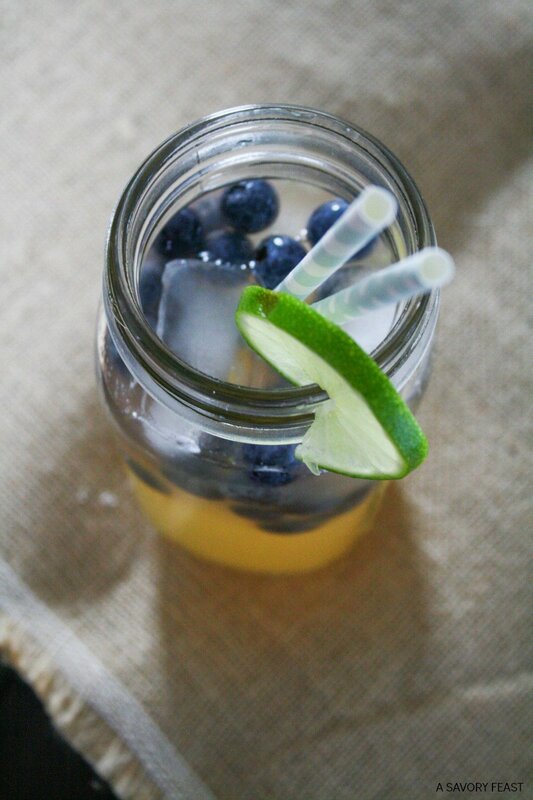 This looks so sweet and refreshing. It’s perfect for the super hot weather we are having in DC this week. I think you need to make some! Enjoy. Oh this sounds amazing! I’ve been on such a lime kick recently so this is perfect.